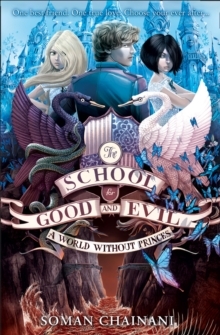 It's all happy ever after at the School for Good and Evil... or is it? The second title in the bestselling fantasy adventure series - perfect for those who prefer their fairy tales with a twist. After saving themselves and their fellow students from a life pitched against one another, Sophie and Agatha are back home again, living out their Happily Ever After. But life isn't quite the fairytale they expected... Witches and princesses reside at the School for Girls, where they've been inspired to live a life without princes, while Tedros and the boys are camping in Evil's old towers. A war is brewing between the schools, but can Agatha and Sophie restore the peace? Can Sophie stay good with Tedros on the hunt? And whose heart does Agatha's belong to - her best friend or her prince?